You don't need to be a trained photographer with expensive equipment to up your photo-editing skills; all you need is a smartphone or device with a decent camera and choose the best photo editor app. Many of these apps are developed to help you create the perfect photo or to simply let you have fun and create interesting photos of you and your friends. 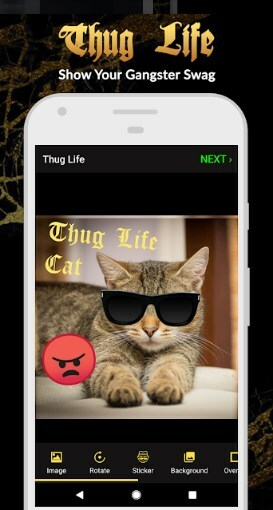 We have to offer the Thug Life Stickers for creating the coolest thug life photos in just a few seconds. Let’s see what the app is about.